After earlier news about the change of representation for Jabiru aircraft, a fresh announcement was made as Sun ‘n Fun 2018 was about to start. 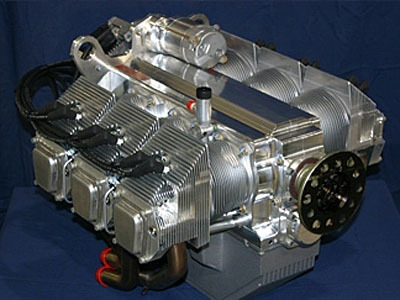 “Arion Aircraft, LLC has been appointed North American Distributor for Jabiru Engines, firewall-forward kits, and engine parts,” according to a joint press release issues by all parties to the arrangement. The new deal is effective immediately. “Jabiru North America, Arion Aircraft LLC of Shelbyville, Tennessee has been appointed as the North American importer and distributor for Jabiru Engines, FWF Kits and Jabiru Parts. Arion Aircraft will be the exclusive importer and market the full line engines and parts manufactured in Australia by Jabiru Aircraft Pty, Ltd.,” the news stated. Arion Aircraft is the builder and marketer for the Lightning SLSA and kit-built models as well as a model outside the LSA parameters. 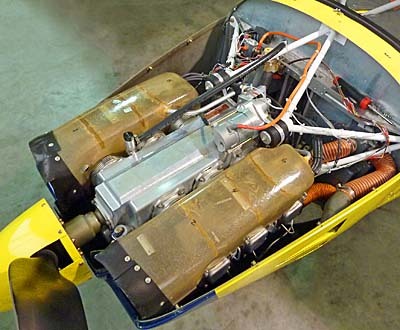 Jabiru of Australia reports sales of more than 2,000 aircraft and 6,000 engines world-wide since 1988, with Jabiru engines powering many popular experimental aircraft in America. “Arion Aircraft has assumed all North American sales and marketing activities for the Jabiru Engine product line at our Shelbyville, Tennessee location at KSYI airport,” said Nick Otterback, the owner of Arion. He added that all new engine and parts inquiries and orders will be directed, fulfilled and delivered through Arion Aircraft. Nick said his enterprise will offer repair and maintenance services for Jabiru engines as well as Jabiru Aircraft from the former Jabiru North America location (located next door to Arion Aircraft). “We’re really excited about Jabiru’s new Gen IV engine and the benefits it will offer amateur builders.” Pete Krotje will continue to help with Jabiru technical support as Arion adds the Jabiru engine business. Pete Krotje (left) is taking a well-deserved retirement after almost 20 years of representing Jabiru aircraft and engines. 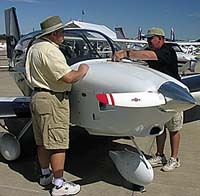 Pete Krotje and his Jabiru North America operation have been the Jabiru importer for North America for 19 years and was a founding member of Arion Aircraft, LLC. Nick Otterback is the chief designer of the Lightning airplane and has worked with Pete for 15 years in the Jabiru and Arion Aircraft businesses. Scott Severen of US Sport Planes said the announcement poses no change for his company to pursue sales for new Jabiru aircraft; his company is also displaying at Sun ‘n Fun 2018. He will work closely with Nick and Arion as both new endeavors move forward and as Pete Krotje begins to enjoy a well-deserved retirement. For more information, Contact Nick Otterback by phone or by email or here.